GRMS' Supplier Risk Assessment Services are designed to assist our clients to significantly reduce supplier risk on a global basis. Supplier risk management is a top corporate objective but identifying and monitoring supplier risk on an enterprise wide basis is a difficult challenge for most companies. 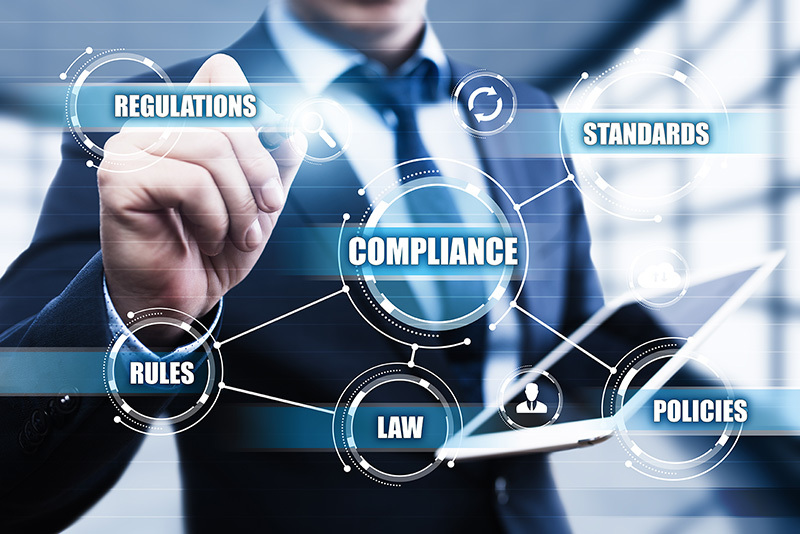 Managing suppliers in multiple countries as well as staying knowledgeable about the myriad of ever-changing global watch lists and compliance regulations is nearly impossible. Resources are limited, consistent standards are not applied, and consolidated reporting is difficult at best. GRMS' Risk Assessment Programs are designed to assist companies to identify and reduce risk in their supplier base on an enterprise wide basis. GRMS has specifically designed eight modules to mitigate and continuously monitor risk for U.S. based and internationally located suppliers. Each module provides consistent measurable standards which can be focused on strategic suppliers or can be tailored for a wider group. Each module can be easily implemented and includes robust reporting functionality. Veritas™ continuously monitors suppliers against over 1,500 global governmental enforcement and sanctions sources with over 10 million records refreshed daily and is continuously enhanced with newly identified sources including SAM.gov, OFAC, US SEC, CIA, FBI, Homeland Security, Bank of England, United Nations 1267 Committee, OSFI, EU Terrorist, HM Treasury, Global Money Laundering Database, World Bank International Investment Disputes, International Court of Justice, Corrupt Government Officials Database, Interpol Most Wanted, FDIC, International War Crimes Tribunal, globally available SEC and Surveillance Commissions, Indonesian Capital Market Supervisory Agency, UK FSA and Lloyds of London. GRMS can also assist companies with compliance for U.S. regulations such as Conflict Minerals Compliance Certifications and The California Transparency in Supply Chains Act of 2010 (SB 657) as well as international governmental laws such as the UK Modern Slavery Act 2015, REACH Compliance Certification and RoHS Compliance Certification. In today’s economy, companies are reducing costs in any expense category possible including reducing insurance coverage levels. In some cases, financial hardship forces companies to allow lapses in coverage or cancellation of insurance policies. The potential ramifications for organizations can be significant if a supplier or subcontractor does not carry or have adequate insurance. Frequently this problem is only discovered after an incident occurs. Veritas™ verifies the A.M. Best® rating of insurance carriers, insurance limits, insurance policies and additional insured language against your company's business criteria. In addition, Veritas continuously monitors changes in coverage and will notify you and the supplier of any changes, cancellations or expirations of the supplier's coverage. Veritas will also proactively manage insurance expiration dates to ensure suppliers renew their coverage prior to the policy expiration date. A company’s reputation is one of its most valuable assets and needs to be protected. A key component of protection is to ensure your company does not do business with a company that has been highlighted negatively in the media. Veritas™ provides clients access to an extensive proprietary database of entities linked to illicit activities from over 35,000 news sources worldwide. GRMS' adverse media profiles have been constructed by researchers based on media stories by reputable media sources in dozens of languages around the world and are continuously monitored. By continually monitoring suppliers against these news sources, clients may be provided with an early warning of potential issues ahead. Health, Safety and Environmental (HSE) is a key risk component for many companies. Working with suppliers that can demonstrate a strong focus on these areas is an important way to lower supplier risk. Veritas™ can help our clients measure these important metrics by checking OSHA records, verifying Experience Modification Rates (EMR) and collecting client specific HSE questionnaires. The financial stability of critical suppliers is a very important component of managing supplier risk. A supplier or contractor that becomes insolvent or cannot pay its employees and vendors can create a major disruption to a client’s production process. Veritas™ assesses a supplier’s financial health by continuously monitoring information such as bankruptcies, liens, and judgments as well as providing a Financial Stability Risk Score which provides critical insight on the potential of a business going bankrupt or defaulting on its obligations. It provides a quick assessment of risk with an easy-to-understand 1 to 100 percentile score and a 1 to 5 risk class that segment businesses into risk categories. GRMS can also provide customized financial analysis of both public and privately held suppliers. Collecting and managing various supplier documents is time consuming and labor intensive. Veritas™ collects, manages and stores any standardized document. Documents are matched to the client's sample template and securely stored online. Veritas sends automated reminders to the supplier to submit missing or expired documents. Veritas will also alert the client of any changes or modifications to the document. Companies are much more focused today on the corporate social responsibility aspect of their operations and that of their suppliers. Issues such as increasing diversity, measuring sustainability, and eliminating human trafficking and child labor are top of mind. Veritas™ measures these key elements of corporate social responsibility as part of the risk assessment rating. Cyber-security is one of the newest and most important risk component for companies. Many of the biggest cyber breaches have been facilitated via a third-party who has access to its client’s system. Veritas™ provides a powerful cyber-security rating service that discovers, contextualizes and grades the security posture of all suppliers that have access to your data. The main goal is to provide an accurate, continuously updated gauge of any company's security posture so that you can see at-a-glance how likely they are to be breached and expose your data to criminal exploitation. Veritas can also collect and manage your company's information security questionnaire as part of the supplier risk assessment.